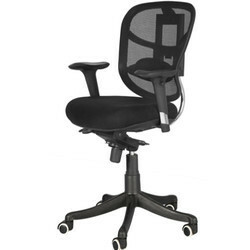 Pioneers in the industry, we offer ergonomic chair, black and red ergonomic office chair, fancy ergonomic office chair, office chair, revolving ergonomic chair and black ergonomical chair from India. 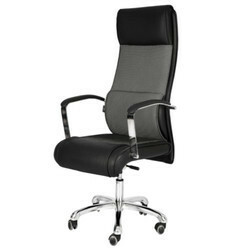 Executive Chair in Black by Karigar. 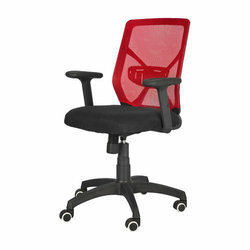 Black and Red Ergonomic Office Chair with height adjustment and arm rest. 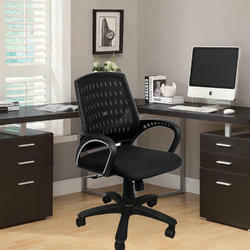 Due to our immense capability in this work domain, we have brought forth a huge variety of Fancy Ergonomic Office Chair. 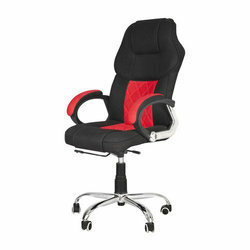 Red fabric and black leatherite high back ergonomical chair with chrome metal leg and wheel. 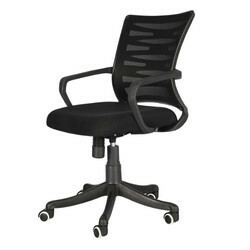 Black back and base with arm rest ergonomical chair with wheel and Polycarbonate legs. Adjustible height and wheel. 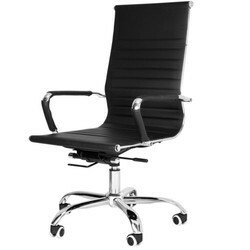 Black base and back, ergonomical chair with Metal legs chrome finish and wheel. 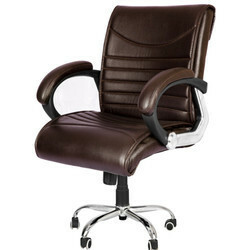 Dark brown leatherite finish ergonomical chair with arm rest and wheels. 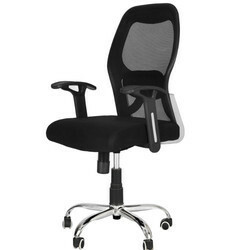 Black jaali back and red base, ergonomical chair with wheel and arm rest. 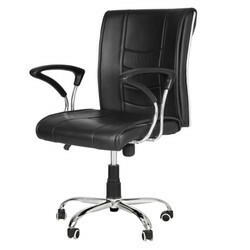 High back black leatherite and jaali ergonomical chair with chrome metal finish legs and wheel. 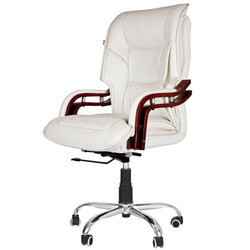 Cream leahtierite, high back ergonomical Boss chair with wheels and chrome leg. 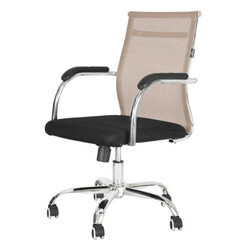 Creame leahtierite, high back ergonomical Boss chair with wheels and chrome leg. 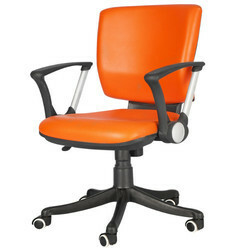 Orange leatherite, high back and base with arm rest and wheel legs metal chrome finish. 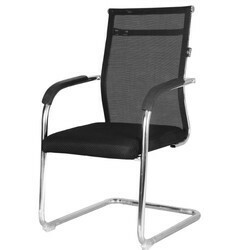 Black leatherite high back chair with arm rest and chrome metal finish legs and wheel. 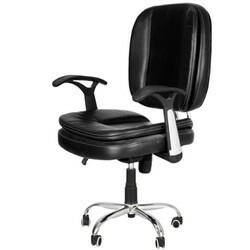 High black leatherite ergonomical chair metal chrome finish arm rest and chrome finish legs with wheel. 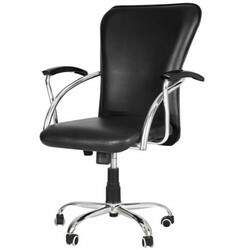 Black leatherite ergonomical chair with arm rest and chrome metal finish legs and wheel. 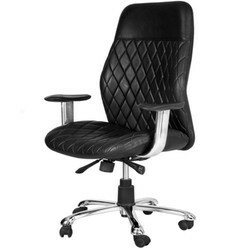 Black base and in metal pipe chrome finish with arm rest. Black base and in metal pipe chrome finish with arm . 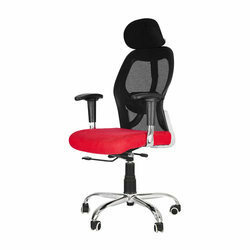 Red back jaali with black fabric base, ergonomical chair, with wheels and arm support. 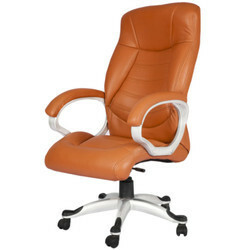 Orange Leatherite, back and base with arm rest and wheel legs. 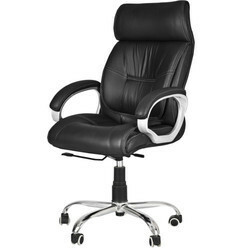 High black leatherite ergonomical boss chair. 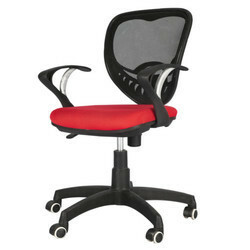 Black jaali support back and red fabric base, ergonomical chair with arm rest. 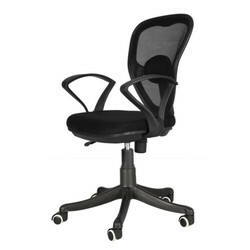 Black Jaali support back and black fabric base, along with HDP black back ergonomical chair with arm rest. 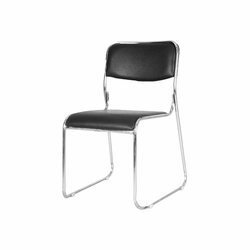 White jaali back and black base with wheel legs in metal chrome finish. 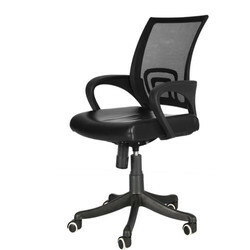 High back black leatherite and jaali ergonomical chair with chorome metal finish legs and wheel. 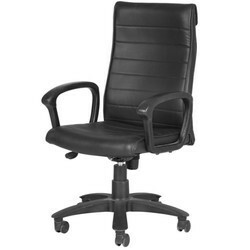 High back black leatherite ergonomical chair with arm rest and HDP wheel. 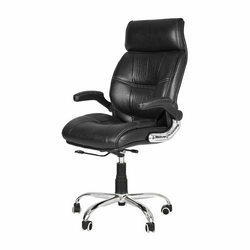 Enriched with vast industrial experience, we are involved in manufacturing and supplying a wide range of Ergonomic Chairs. 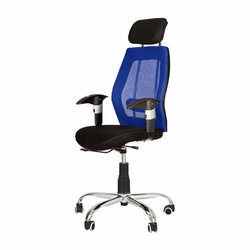 Designed and developed using finest quality components our Ergonomic Chairs are rough and tough quality and robustness. 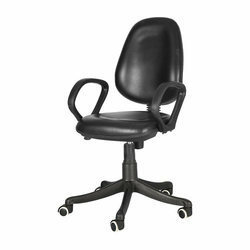 Our Ergonomic Chairs are admired for their purpose specific construction, robustness, high comfort level and attractive appearance. 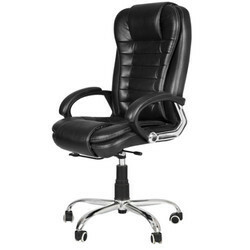 These chairs are available at reasonable rates.